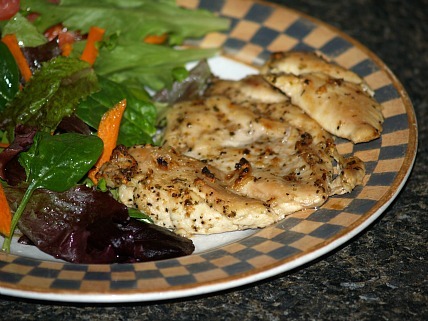 I learned how to make healthy baked chicken recipes simply by adding seasonings and other healthy ingredients. The variety of flavors are endless; so much so that you could eat chicken everyday and not get tired of the taste. Over the past years much data has been collected showing the wonderful nutrition found in chicken. This high source of protein also offers phosphorus, selenium, tryptophan, vitamin B3 and choline. If you are learning how to make healthy baked chicken recipes you will find that chicken itself if cooked properly Chicken, is low in fat, thus being low in calories. Also by removing the skin before eating saves even more calories; half the calories are in the skin. When choosing between the light and dark chicken meat, remember the dark has less protein and about twice the amount of fat as the light meat. However true this is, I still prefer the moist dark meat and feel it is still a healthy choice. Once you have learned how to cook healthy baked chicken recipes, you will discover for meat lovers, this is the perfect way to eat well and stay on a healthy diet. I prefer to take a step farther and purchase the organic chickens; I feel they are even healthier. Although they are a little more expensive, it is still one of the most economical sources of protein to feed a family. Locally I purchase a regular chicken for about four dollars; the organic ones are about eight dollars. One chicken should feed a family of four to six people depending on their age so you can do the figures. For this page, I am going to focus on how to cook chicken breasts since this is the healthiest part of the chicken. It is also the favorite part of the chicken for most people. 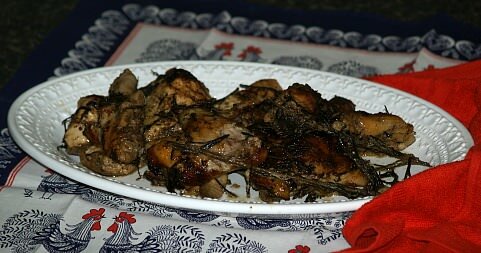 HOW TO MAKE A GREEK CHICKEN RECIPE This Greek healthy baked chicken recipe has a lot of flavor. Combine lemon juice, olive oil, garlic, oregano and pepper; blend well. Place chicken breasts in plastic zip lock bag; pour marinade over chicken. Turn bag over couple of times to make sure all the chicken is coated. Place in refrigerator about 1 hour to marinate; place in lightly oiled baking pan. Place pan in preheated oven at 350F degrees; bake about 1 hour or until tender. NOTE: Turn chicken over once while baking. This healthy baked chicken recipe can be prepped in the morning with the marinade for the evening meal. Combine oil, vinegar, salt, pepper, thyme, marjoram and garlic in shallow pan or zip lock bag. Add chicken, cover tightly and refrigerate 3 hours turning frequently. Remove chicken from marinade and place in lightly oiled baking pan. Bake in preheated oven at 350F degrees for 60 to 90 minutes until cooked through. Pour flour and seasonings into a plastic or paper bag. Remove skin from chicken and place in bag with flour; shake to coat. Combine and mix eggs and milk; dip chicken in milk mixture then cover with ground almonds. Melt butter in shallow baking pan; place chicken over butter and bake 30 minutes. Turn chicken over and bake another 30 minutes or until tender. This healthy baked chicken recipe has the wonderful flavor of the buttermilk combined with pecans and sesame seeds. Melt butter in 9 X 13 inch baking pan; mix buttermilk and egg in shallow dish. Mix flour, ground pecans, paprika, salt, pepper and sesame seeds in another shallow dish. Dip chicken breasts in buttermilk mixture; then in the floured mixture. Place in buttered pan; turn pieces to coat both sides with butter. Place pecan halves on top of chicken pieces. Bake in preheated oven at 350F degrees for 60 to 90 minutes or until tender. NOTE: I always use fresh herbs if I have them on hand; for this recipe I used ¼ cup of rosemary and ¼ cup of tarragon. Combine olive oil, vinegar, tarragon, rosemary, thyme, salt, pepper, mustard and Worcestershire sauce. Dip chicken pieces in sauce and place in a roasting pan. Bake uncovered about 1 hours until tender. Healthy baked chicken recipes are made easy by using this spice mix, a homemade “Shake and Bake”. Combine flour with all spices in a bag; shake 2 to 3 pieces of chicken at a time in the mixture. Place coated chicken pieces in a shallow pan coated with oil; do not crowd. NOTE: For extra healthy chicken remove the skin from it; cover the first 30 minutes of baking. Learn how to make healthy baked chicken recipes with Rice Krispies. In large plastic zip lock bag combine and blend Rice Krispies, paprika, salt and pepper. Brush chicken on all sides with the mayonnaise. Place 1 piece at a time in the bag and shake to coat. Place pieces on a broiler rack; Bake 40 to 45 minutes until golden brown.